Companies rely on content marketing to reach an audience and be able to sell products to potential customers. Unfortunately, some of them made mistakes in their marketing and these are still well-known. 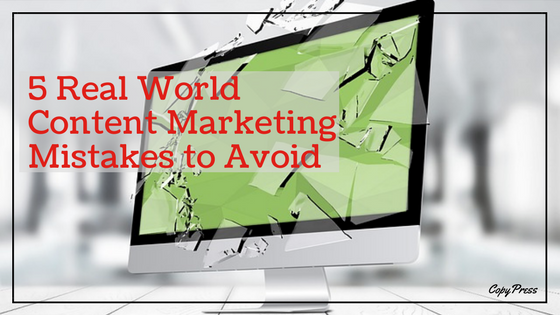 Here are five content marketing mistakes to avoid. Social media is a wonderful way to connect with an audience. Sharing updates on the company, or even content from other websites, shows credibility. But it will backfire if the content posted is controversial. One example is a post from a law firm. It was about the reasons a person would not get hired in their company. What was the problem? The main reason someone wouldn’t get hired is because they are an unattractive woman. This is not a joke. Even though the post is updated, it still lives on the internet. The law firm, according to the post, hired women as legal recruiters based on their looks. It also mentioned they are not smart and are likely self-centered. The last point the post made was recruiting coordinators married associates because they’re attracted to each other, being close together for most of the day. They tried to point out it was just an observation, but the damage is done. So, what should a company post? Stick to topics that aren’t controversial and avoid spreading gossip. Find posts that focus on the benefits the company gives its customers. And have someone outside of the business, like a content marketing company like CopyPress, take a look at the draft before it goes online. Issues happen even if there is a grammatical error. Not only do companies make sure their content reaches people and creates engagement and sales, they look at what their competitor does. It’s okay to see what someone else is doing, and putting a different spin on it. The important thing is to do something. This is the kind of advice supermarket chain Carrefour needed to take, but didn’t. The French-based company has locations throughout the world, but has seen sales plummet throughout Asia. Their competitors used different marketing strategies to reach more customers. One supermarket created another chain to reach upscale customers. Another brand released an app, while others created an advertising push. Carrefour did nothing. It is now out of the Asian market. Watch and see what your competitors do to reach customers. Then, work on reminding them what you offer them, and market it consistently. Do you know who your target audience is? If not, all the hard work of marketing goes to waste. 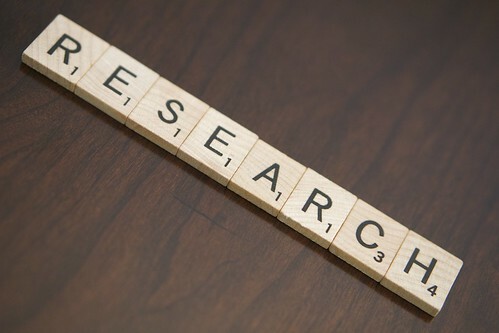 It’s important to do research on what the customer likes or dislikes, what bothers them in their daily lives, or what problems they need solutions for. Pepsi, unfortunately, created a marketing campaign meant to promote diversity, but quickly turned into a public relations nightmare. The company wanted an ad to target millennials, so it filmed a commercial featuring model Kendall Jenner leading a group of people through the streets and drinking a Pepsi. It gets more complicated. The group of people are protesting injustice from law enforcement, and Jenner is working on a photo shoot as the protestors pass by. She decides to join them, and approaches a police officer, handing him a Pepsi. He drinks it, smiles, and everyone is happy. The backlash came within hours. People condemned the ad for taking an actual protest of a woman walking up to police officers and turning it into a marketing ploy. The daughter of civil rights activist Dr. Martin Luther King, Jr. criticized it, and Pepsi pulled the commercial. While most point out Pepsi didn’t use an outside ad agency, the real issue is not doing proper market research. One idea is to have Pepsi talk to real protestors to convey the message they understand what goes on their lives. To avoid this mistake, interview people who are at the core of your content. Make sure marketing reflects the brand well and shows customers the company cares. Creating content around holidays or themes is a great way to garner more attention for the company. Using analytics and keywords also boosts Google ranking. However, be careful what you market, because it’s hard to take back what is on the internet. In 2014, Malaysia Airlines wanted to improve its reputation after two flights disappeared, so they ran a marketing campaign giving out free tickets and iPads. The name of the promotion was “My Ultimate Bucket List,” which is devastating because a bucket list means a person is creating a list of things to do before they die. Having people create a list right after hundreds of people were lost at sea didn’t go well. Thoroughly check that a campaign doesn’t impact the company negatively or bring up tragedies. Otherwise, it would look like a ploy to get customers. Although creating awareness for a brand is important, giving a lot of content to customers without their consent isn’t going to increase sales. Even well-known companies make this mistake, with Apple making the largest one. Apple partnered up with rock band U2 and told customers they will get the band’s album for free. It sounded like a great way to market both the technology and music industries, but they left out a key point in their promotion and made millions of people mad: the album automatically downloaded on a user’s iTunes catalog. People complained it’s an invasion of privacy and said it was a form of spam to add something without their consent. They were also angry they couldn’t remove it for at least a week, when Apple sent out detailed instructions. In all, the estimated $100 million Apple spent on the rights to the album and marketing is supremely costly. So, do not force any content on customers. Ever. Send out a survey of possible products and ask them if they want it or not. These examples show it is crucial to check the content as much as possible before sending it out to the internet. Follow these tips to avoid some nasty consequences.